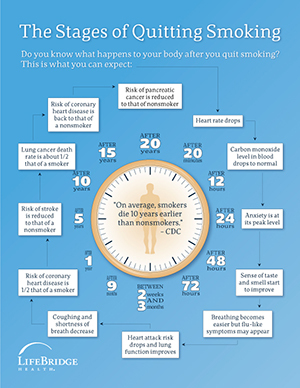 LifeBridge Health has created a series of infographics to educate you about health-related topics. Click on the images below to view the full infographic. 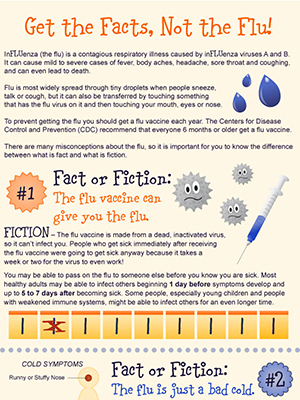 Get the Facts, Not the Flu! 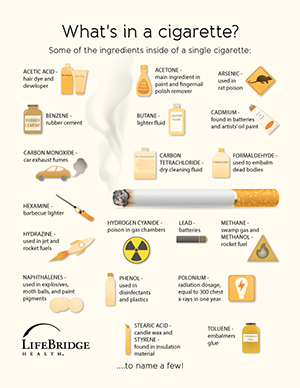 | The Four Main Ways Germs Invade | Why You Should Wash Your Hands | Bariatric Surgery | Stages of Quitting Smoking | What's in a cigarette? Get the Facts, Not the Flu! Find out the difference between fact and fiction when it comes to inFLUenza. 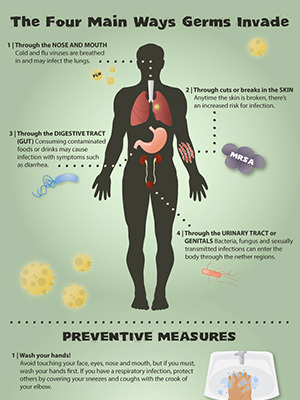 Learn how germs invade your body and what preventive measures you can take. 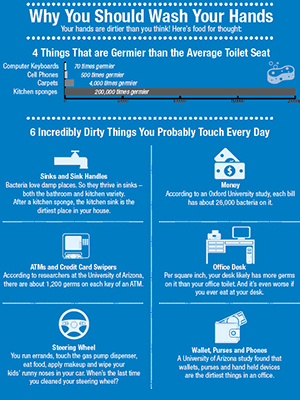 Discover a few good reasons why washing your hands is important to your health. 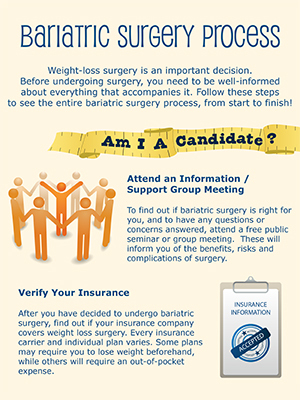 Learn about the entire bariatric surgery process. Click the image to find out.